“My head is like a rubbish heap: you have to sift through the muck to find a working toaster,” declares Abdullah K, the central character of The Selected Works of Abdullah the Cossack by H M Naqvi. Much of Naqvi’s long-awaited second novel proves Abdullah K’s self-assessment correct and, as a result, makes for delightful reading. True to his word, the protagonist displays foibles and makes zany commentary that both entertain and inform the audience. While we are never quite lucky enough to find that toaster, we do come across several working parts in excellent condition that – if assembled – would make a splendid appliance. Abdullah K (aka the Cossack) belongs to a rich business family, the members of which have fallen out with each other after their parents’ deaths. The third boy among five siblings, he lives up to most tropes that middle children are known for and is generally recognised among relatives, friends and acquaintances as someone who had potential but never lived up to it. He is living out his days like a depressed sloth in the family home – the Sunset Lodge – which he shares with his religiously conservative, unremarkable and highly unimaginative youngest brother and sister-in-law, Babu and Nargis. Abdullah K’s “selected works” are, in fact, an autobiography that he begins to write when a series of events, starting from his 70th birthday, shake up his life and kick it into high gear — forcing him to decide whether to rise to the occasion or not. What makes his account qualitatively different from other such accounts is its academic foundation. Abdullah K is a bibliophile; he has amassed a formidable knowledge in history, philosophy, religion and the arts over the course of his life and, now that the stage lights have started dimming over his time on this earth, he wants to share what he knows. In addition, he is someone who sees his existence as inextricably woven into the historical fabric of “Currachee”. Dismayed at the way things have gone, the Cossack feels compelled to record those aspects of the city’s diverse and wonderful history that have slowly been erased from public memory — to set the record straight, as it were. This book was years in the making and, to understand why that is significant, it makes sense to place it in the wider context of the author’s experience, global events and the rise of the Karachi novel. Naqvi is one of the two celebrated Pakistani authors writing in English today (the other being Mohsin Hamid) who started out by showing literary promise, made a career in the financial sector in the United States instead, and then circled back to Pakistan and a writing life. This trajectory and its timing could have something to do with the post-9/11 realities of the United States: the year that Hamid’s The Reluctant Fundamentalist was published (2007) was the same year that Naqvi returned to Pakistan. His first novel, Home Boy, which was published to critical and popular acclaim two years later, was set against the backdrop of anti-Muslim sentiment in the United States after the Twin Towers of New York’s World Trade Center had come down in a terrorist attack in 2001. The trouble with being in Pakistan in those years was, of course, that the country was hit directly by the fallout — that is, the ‘War on Terror’. The decade following Naqvi’s resettlement in Karachi was fraught with violence and insecurity. This provided fertile soil for fiction and the period saw the rise of a particular kind of Karachi novel — one in which writers who lived in the city (or who identified with it) started producing work with a certain urgency to unpack the complexities of – and to find humanity in – a metropolis that increasingly seemed to have been lost to abductions, sectarian killings and suicide bombings. Mohammed Hanif’s comi-tragic 2011 novel, Our Lady of Alice Bhatti, Bilal Tanweer’s 2014 novel-in-stories, The Scatter Here is too Great, and Shandana Minhas’s 2016 novel, Daddy’s Boy, come to mind as books that represented the inherent absurdity of what Karachi had become. In these same years, Karachi-based crime fiction also became ‘a thing’, with Omer Shahid Hamid leading the way with fast-paced novels inspired by real events and informed by his time in the police service. Naqvi’s debut work on Pakistani migrants in the United States came about while other writers were seeking to understand Karachi’s contemporary realities. It is difficult to say if the book set him apart from the crowd or if it placed him just outside the realm of relevance. To be fair, Karachi played a limited but pivotal role even in Home Boy. But there was more to be done, especially now that Naqvi was based in the city. Looking back, it seems his interests already lay in a particular direction. In a 2009 article for Forbes magazine, he recounted how he took his friends visiting from New York during one winter for a tour of Karachi. (A remarkably similar tour has made its way into The Selected Works of Abdullah the Cossack, starting with Jinnah’s mausoleum and concluding at a Hindu temple. Much of the book is, in fact, a city tour of sorts.) “The wonderfully complicated traditions that inform the cultural life of Karachi […] resist the retrograde orthodoxy emanating from the wars on the northern border,” he concluded in the Forbes piece. This was the earliest indication of what the subject matter for his second book would be: a collection of essays on Karachi that would reach into the past to breathe new life into the present. He later referred to it on his website as “an initiative to revive a swath of downtown”. The announcement that his next book would be on Karachi was received well. With the success of Home Boy, Naqvi had established his presence on the city’s literary circuit. He was a regular fixture at the annual Karachi Literature Festival (KLF) where he would draw crowds. In the evenings, he was regularly found writing (in his trademark attire: a fedora hat and unbuttoned shirt) at the Roadside Café — an establishment behind Boat Basin, Clifton, known for its uniquely authentic Karachi ‘burger’ vibe. (The café even put up a framed poster of Home Boy in homage to him at the table where he would often sit, and painted a huge mural of the novel’s cover image along the length of one of its walls. Fittingly, the café gets first mention on the acknowledgements page of Naqvi’s second novel.) Knowingly or unknowingly, he was developing an authorial legacy that was rooted in Karachi. Times have changed, and so has Karachi, yet again. If Home Boy was a 9/11 novel, The Selected Works of Abdullah the Cossack has landed straight into an era characterised by the promised prosperity of the China-Pakistan Economic Corridor. Already, the Karachi described in the book seems a thing of the past. There are no major turf wars going on in Lyari. The shops do not shut down at the drop of a hat anymore. In an age in which being topical is everything, will this novel still be able to resonate with readers? Perhaps not, but then this work is not a typical candidate for mainstream consumption anyway. The prose and its arrangement are complex. There are over 180 footnotes. 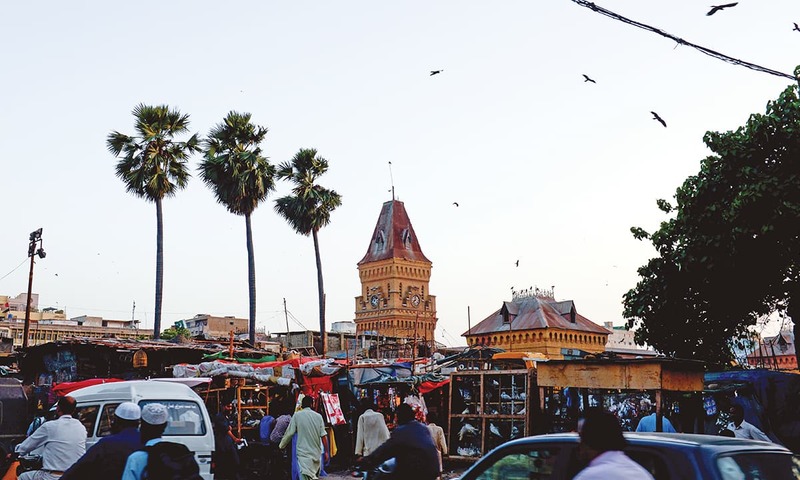 The narrative is bursting with details about the Karachi of yore – and ensconced within that picture are many ideas on religion, race, politics, food and much else – that would be discomfiting to the average reader. Naqvi’s masterstroke is to create a narrator whom one cannot help but care about. Abdullah K’s sincerity, wit and large-heartedness will outlast all changes in sociopolitical context. He may have opinions that could spark public ire but then he also has a number of characteristics that protect him from it. He is old, rich and a loser. He carries a parasol when out in the sun. He loves children. He avoids conflict and business decisions. In other words, he is not a threat to anybody, including the reader. Ironically, that may turn out to be how Abdullah the Cossack disarms, and ultimately conquers, the Babus and Nargises of the reading world. The writer is a former editor of Papercuts magazine and a co-founder of Desi Writers' Lounge. This article was originally published in the Herald's April 2019 issue. To read more subscribe to the Herald in print.